How do I add hyperlink to my form? I need to make a change but can't work out how I did this now. This can be achieved by adding a HTML Text field from Form tools to your JotForm. 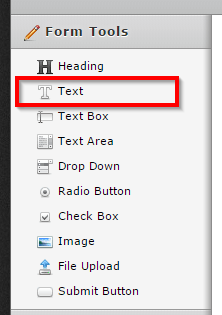 You may be also interested in taking a look at our PDF embedder widget that embeds the PDF file on your JotForm.